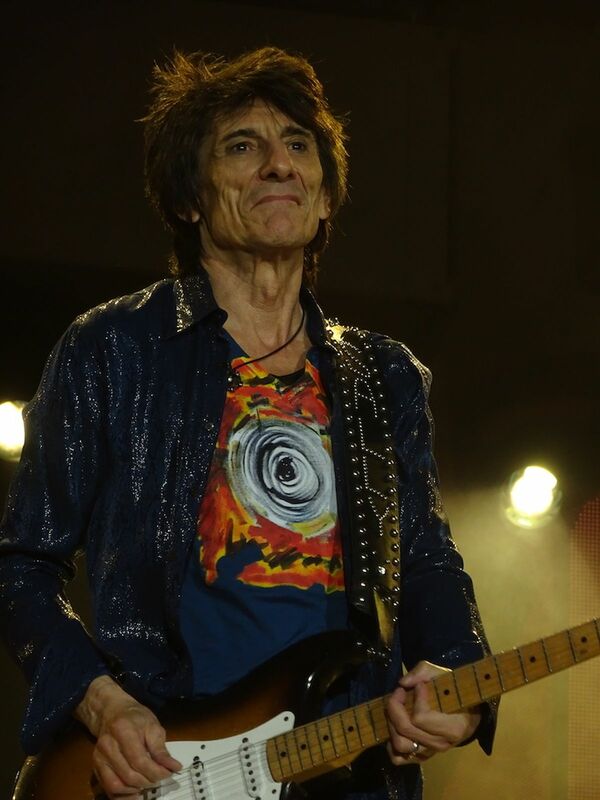 The Rolling Stones delivered a much more cohesive set in Zurich, and should be in pretty good form for Italian and Spanish fans who will hopefully be more lively than the moribund Swiss crowd. 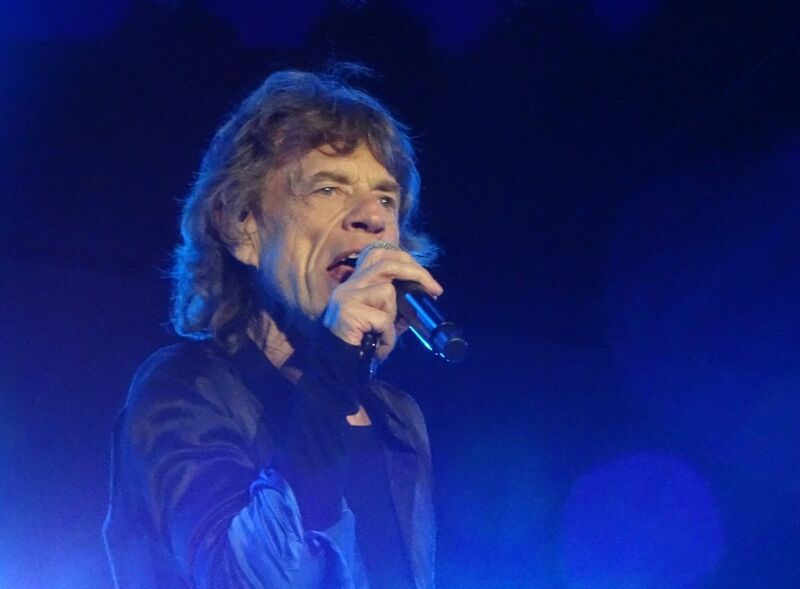 I'm sure one attendee expressed loudly and clearly that the Stones were simply the best: Swiss citizen Tina Turner. Alas, we got no repeat of Mick + Tina at Live Aid. 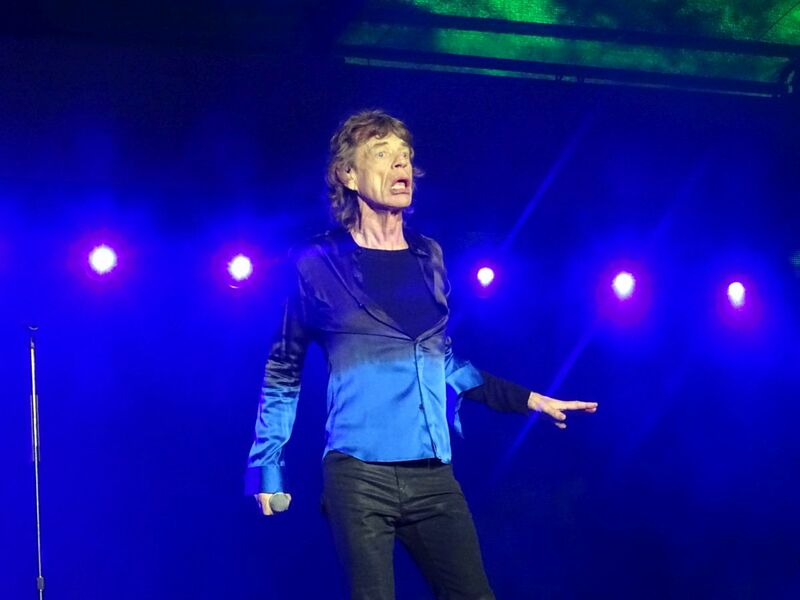 "Dancing with Mr. D" returned to the set, with Mick putting more thought into the delivery of the lyrics. 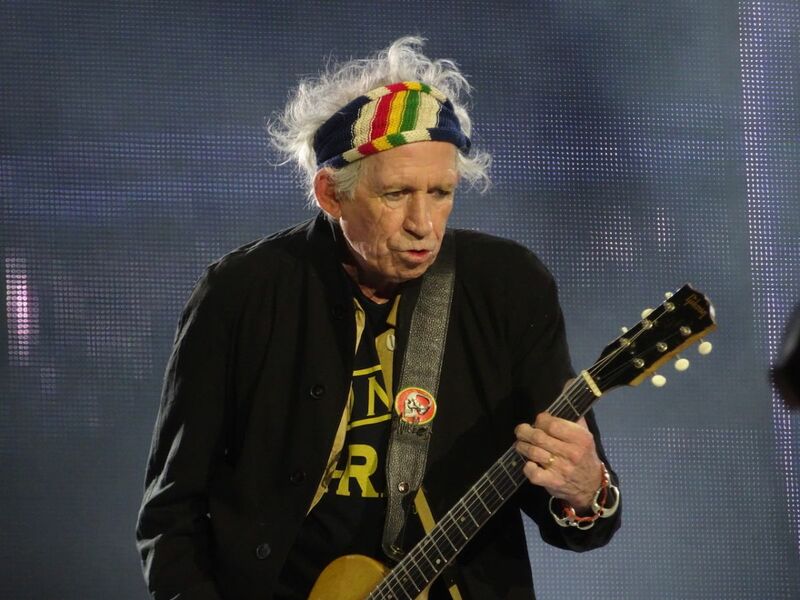 We also got the world premiere of Little Walter's "Hate to See You Go" from the blues album, while "Like A Rolling Stone" won the fan vote, despite the Stones reportedly practicing rival contender "All Down the Line" at sound check. "We'd like to thank Bob Dylan for writing (it) for us," a chirpy Mick said. It was one of four songs on which he played his usual killer harp, the other two being the aforementioned blues pair and "Midnight Rambler." I wonder if that is some sort of record? Coincidentally, "Rolling Stone" was the first time the audience showed signs of a pulse. Its enthusiasm was sporadic throughout the evening, possibly due partly to the cold - though it certainly wasn't unbearably chilly. It was a geezer crowd, and my fellow fans in the Golden Circle seemed happy to watch and record rather than participate. This may explain why "Midnight Rambler" clocked in at just 11:25, a full minute less than in Austria. By my count, the whole show was about 2 hours, 10 minutes. It seemed that "Honky Tonk Women" accounted for a big chunk of that. My god, that song drags now. It almost makes "Miss You" tolerable. 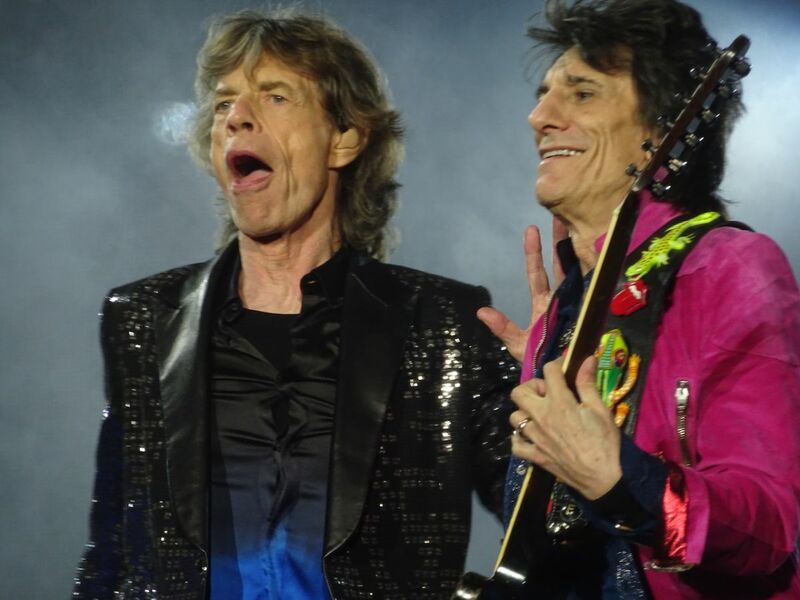 Maybe it was the effects of the Raclette that Mick joked the Stones had eaten too much of. Not much to report on the "Keith Watch." As in Austria, he was in jolly form. "This is such fun," he said tonight, before delivering his twofer. "I can't answer questions right now," he added. He didn't appear to commit any major snafus, though I wonder if "Happy" finished prematurely. 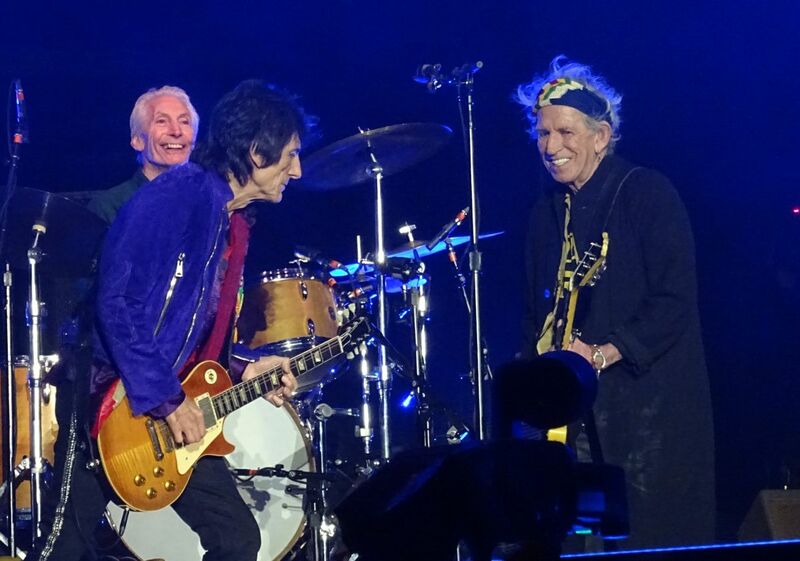 "Slipping Away" had to be restarted because Ronnie wasn't ready, which Keith thought was hilarious. I liked how Keith gave a hearty "Ha! Ha!" after singing "All I want is ecstasy." I must deduct points, though, for his hideous rasta shirt, which appeared to feature multiple faces of Haile Selassie and King Tubby - though I could be way, way off. 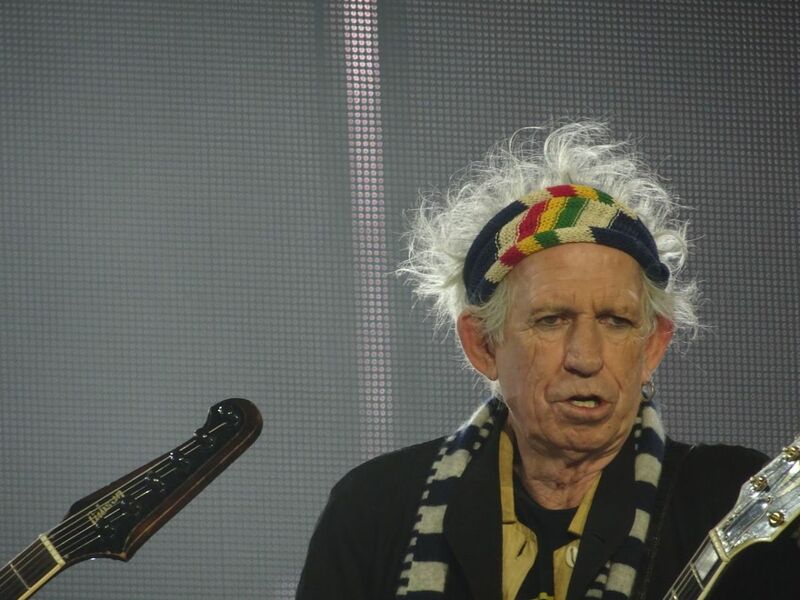 His backing vocals on "Like A Rolling Stone" were forceful. I wish we could have more of his singing. The Struts opened, playing undistinguished post-glam rock for 37 minutes. I expected something better. After all the logistics hazzle of the Spielberg show, it was just great to have a regular stadium show right in the city of Zurich, staying in a hotel just a couple of minutes walk from the stadium. I was working in my hotel room when I was hearing sound from the stadium around 4pm show day. Rushing out, I was over in a couple of minutes fast. With a clear view of the video screen, from outside the stadium, we could enjoy the crystal clear sound of the Rolling Stones soundcheck. 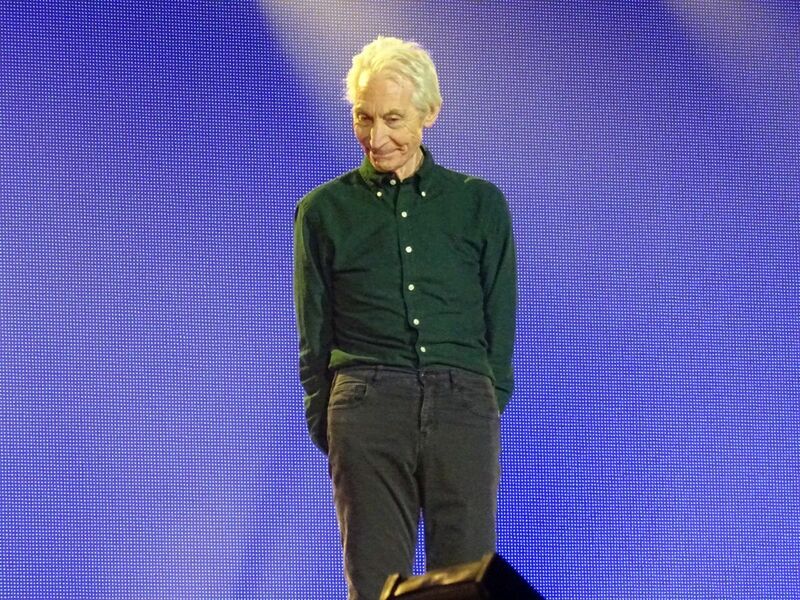 They did half an hour of soundcheck, including "All Down The Line", "Hate To See You Go", with a retake of the ending, "Like A Rolling Stone", and "Dancing With Mr D". I got quickly in the mode of going into the stadium. A quick meal across the street from my hotel, and I was in shortly after 5pm. This was the perfect show. There is not much to say, except I loved it from start to finish. We got a new blues number from "Blue & Lonesome", it sounded great. We got "Like A Rolling Stone". Then "Dancing With Mr D" was back in the set. "Paint It Black" sounds great every night. The highlight for me was "Street Fighting Man". It is so powerful, with the entire band high on volume and guitar playing. The crowd starting to move in their multiple layers of clothes. Keith all smiles. 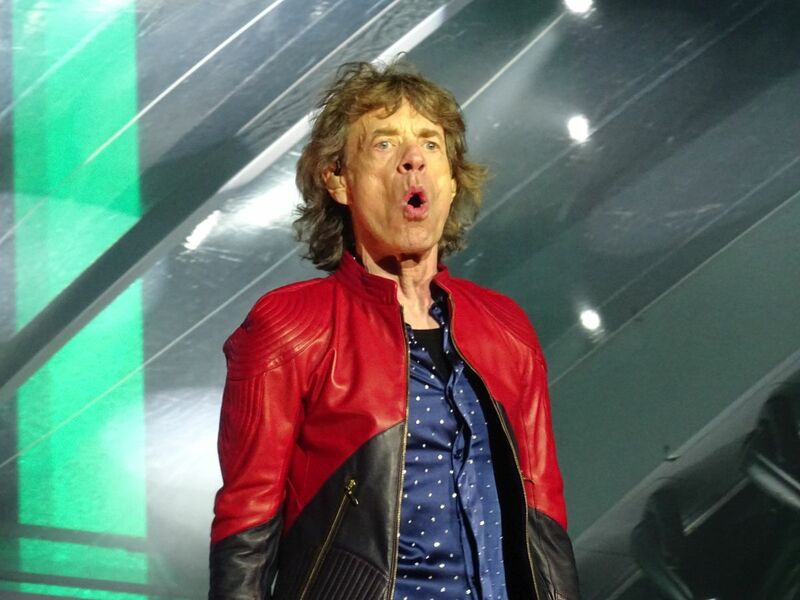 Mick making funny faces. Ronnie always a big smile. Charlie smiling at times you leaste expected it, which means he is having a blast back there on his drums. While the shows in Hamburg and Munich were a bit rusty, and Spielberg was improving a lot, this show in Zurich was just perfect. I can't ask for more. If they keep it like this for the rest of the tour then I will be all smiles for the rest of September and October. 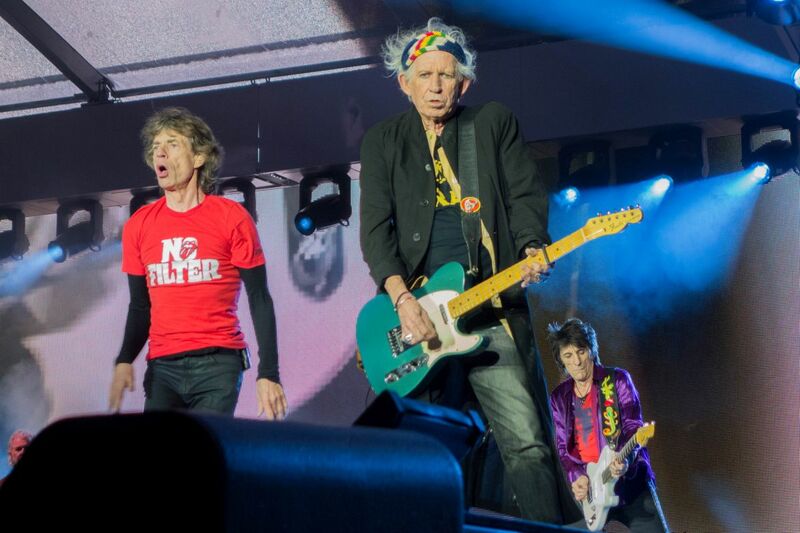 Lucca and Barcelona could still top it, always aiming for even greater moments with The Rolling Stones. At least the temperature will improve as the tour is moving south for the next couple of shows. 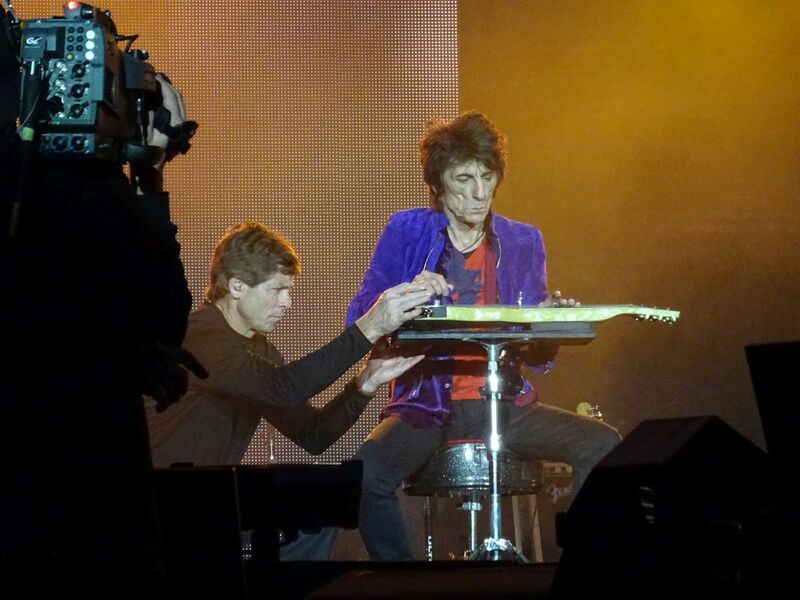 Also, Mick needs to rest his German language for a while, now practicing Italian and Spanish. Assume that the Stones were regular readers of this board. Recently, they might have read about setlist debates, nagging threads, complaints (and worries) about musicals skills diminishing, or whatever. So, if they had read all that, and wanted to give an answer, the result was last night’s show in Letzigrund stadium in Zurich. They gave an answer of pure, essential, powerful, playful, creative though stripped down, fantastic music – a rock’n roll show worthy of being ranked in the group of top fabulous shows. Let’s start at the beginning: a sunny day in Zurich, no rubber boots required like on the last weekend in Spielberg. Well organized, friendly staff, a nice stadium – temperatures up to 15°, optimal to rock out. I was standing in the pit, left side, 4th row – I am tall enough to see all musicians on the stage even at this close distance. Everybody was relaxed and friendly, no squeezing in the pit, even comfortable. The show started off more or less on time like a Swiss watch with Sympathy for the devil. This show opener works extremely well – the expectations, the tension building up, the first chords by Keith played immensely loud – these few chords target everything downwards of your head with such power that you instantly give up thinking, worrying (nagging as well…), it’s all music for the next two hours. 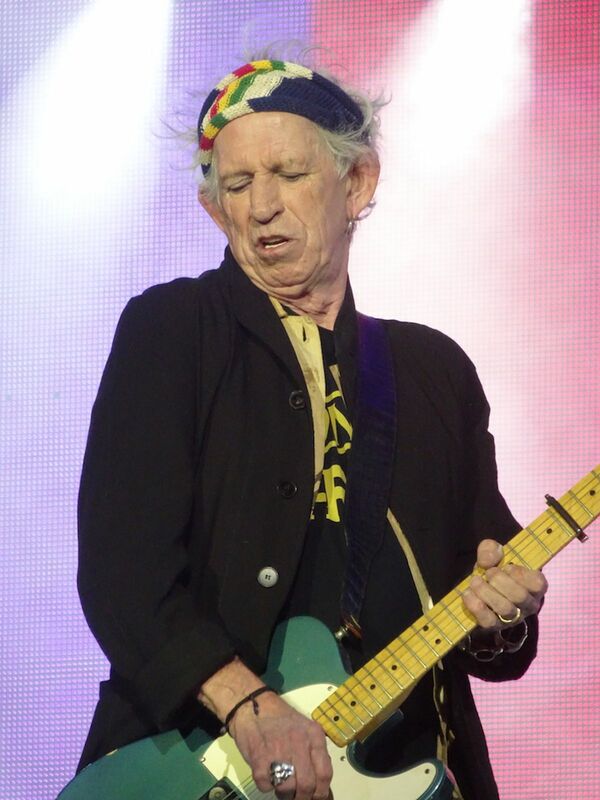 And Keith’s solo, just great. Highly concentrated, precise, the legend on the stage would have regained his status as the world’s famous riff master – if he had every lost it. It’s only rock’n roll – the hymn of generations of fans, and Tumbling Dice, the blues-rocker – which band can say about themselves that they master these pieces still at this level of energy, with this dedication? The blues slot: The band surprised everybody by a song never played live, Hate to see you go, included on their latest album, Blue and Lonesome. 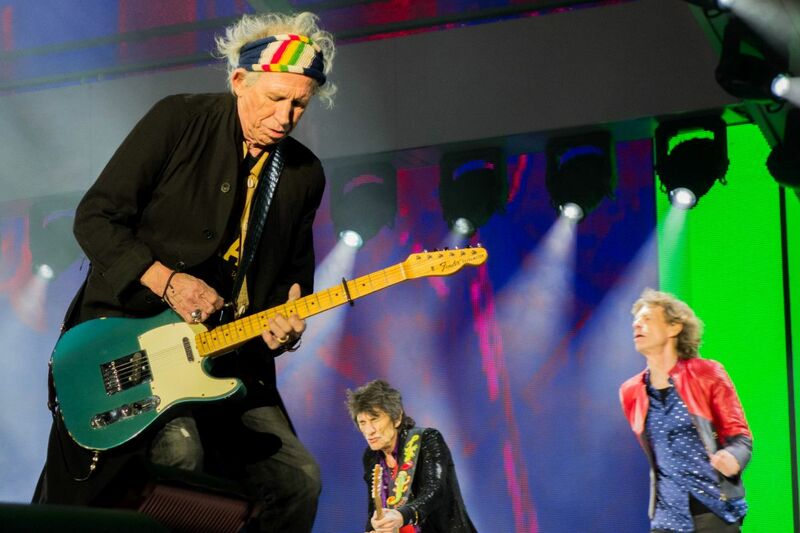 Together with Ride ‘em on down, the Stones made a soulful though powerful, skilled and 55-years-experience, simply great reference to their roots – it’s such a pleasure to see and hear this garage-band-put-to-a-stadium playing these songs. Next came Dancing with Mr. D, this dark though rocking song, great riffs, great singing – perfect! The vote song came next, Like a Rollin’ Stone, written by Bob Dylan for the Stones (at least according to the humorous front man) – such a treat, a celebration, another hymn of the band. Can’t always get and Paint it black – everybody singing, dancing, clapping hands, following the lead singer in his every motion. Honk tonk woman, superb, I just love this song, especially Keith again on fire, on the top of his game, timing, riffs, another highlight. 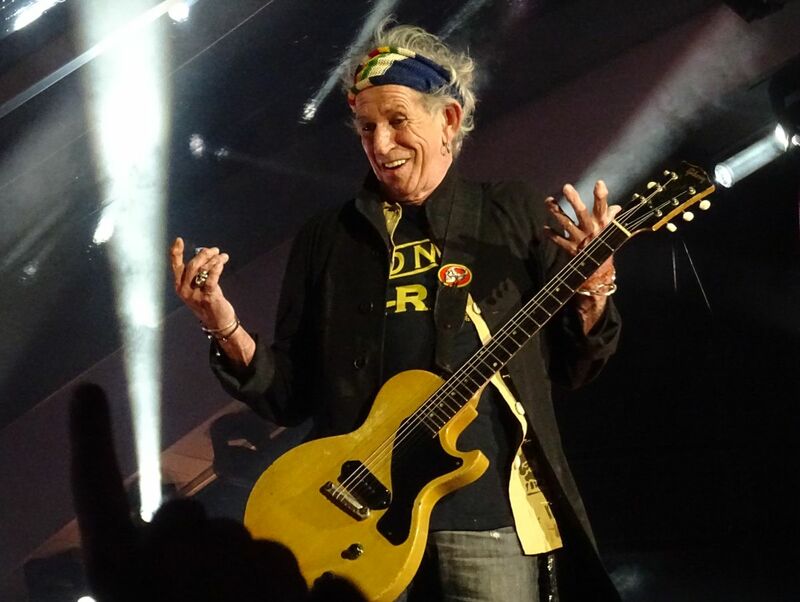 After the band introductions, Keith’s set; Happy and Slipping away – what should I say? If the show had ended after these songs, it would have already been an excellent Stones, and I would have had no hard feelings if the Stones would have sent us home. 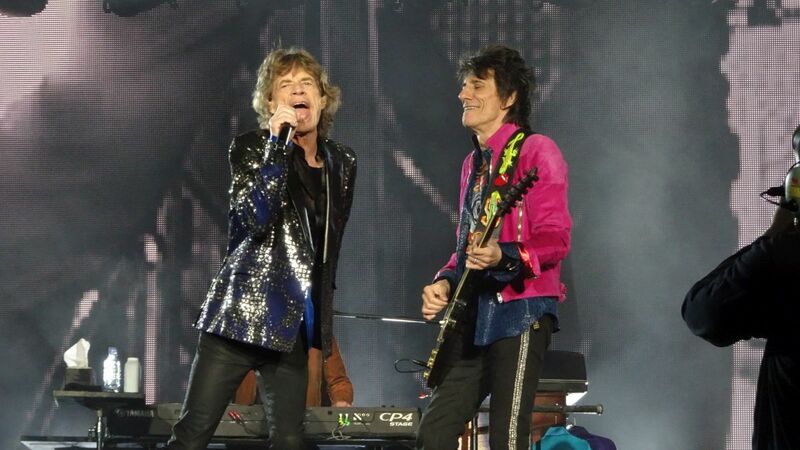 Another great version of Midnight Rambler, with some jazzy trip outside rock’n roll following a sing-along started by Mick, and Miss you, again with a great solo by Daryl Jones on the base. Street Fighting Man, a monster song, my ears are still ringing from these riffs (is it possible that riffs are burnt in one’s eardrum? ), I’m so happy that they keep this song in their regular setlist. 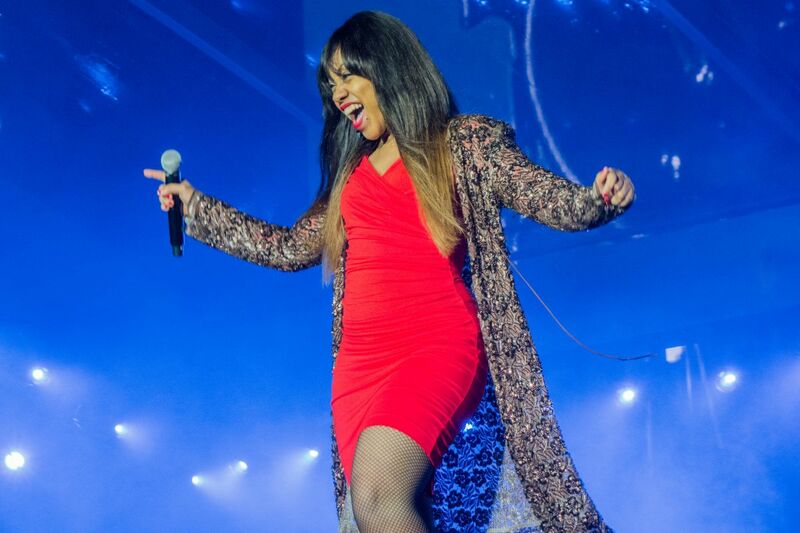 Start me up, Brown sugar, played with such precision, power, energy – and personally, one of the surprises for me was Satisfaction. We all know this song (it’s probably already embedded in our genes), but on this evening observing closely the guitars revealed for me what they played and how they played it – they added to the songs wonderful little details, licks or riffs: even after more than 50 years, something new to discover. 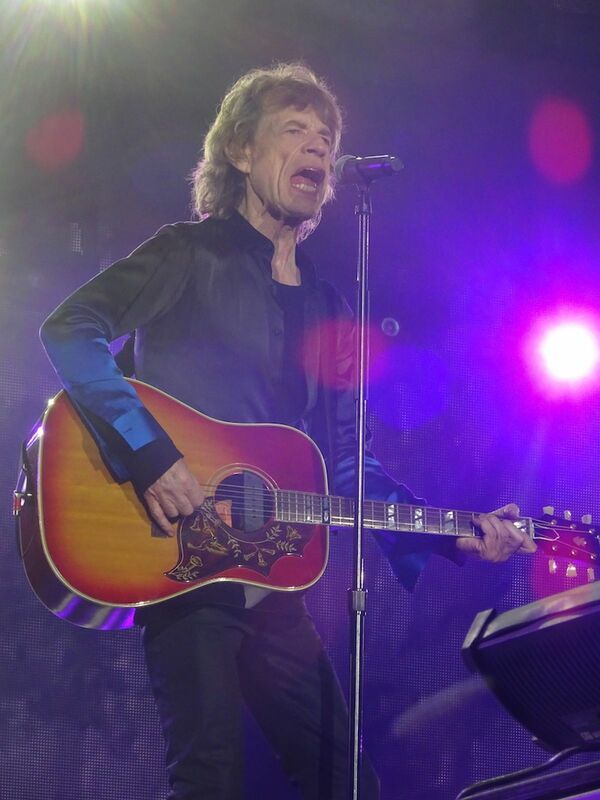 The two final songs, Gimme Shelter and Jumping Jack Flash – two iconic dark songs closing a highly memorable evening in Zurich. Honestly, I do not have the musical or analytical skills, and also not the memory to think about and analyze every detail of such a show. 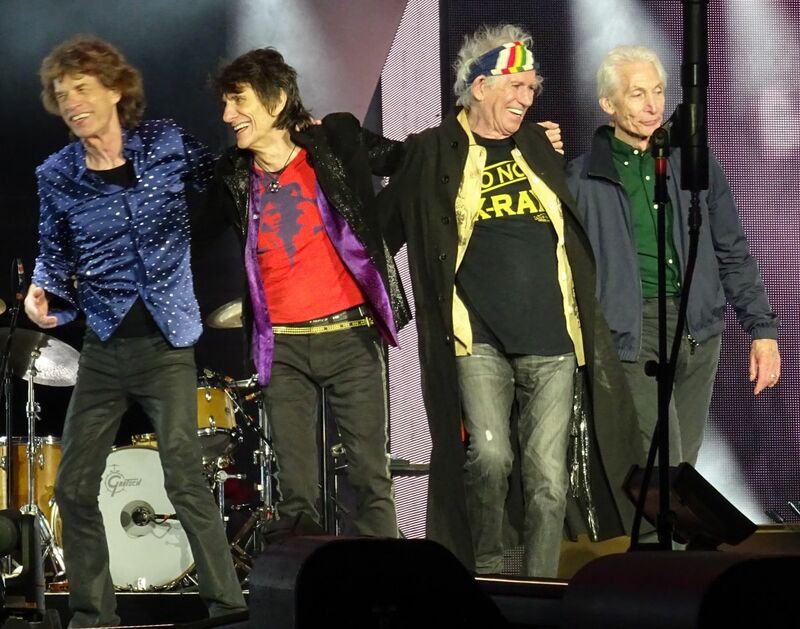 What I will though remember: Mick, Keith, Ronnie, Charlie, and the other band members, are simply the best, truly the greatest rock’n roll band. 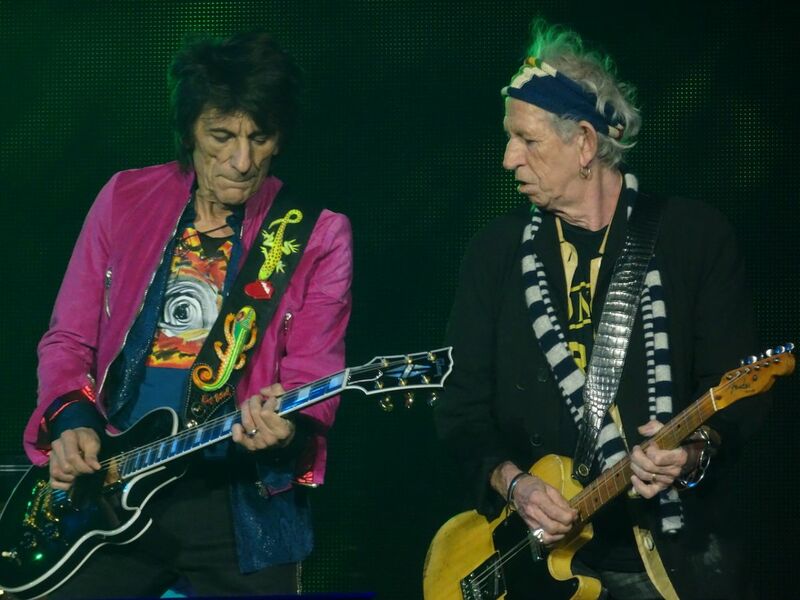 The Rolling Stones are a miracle, music’s in their DNA (or even somewhere at the sub-atomic level). 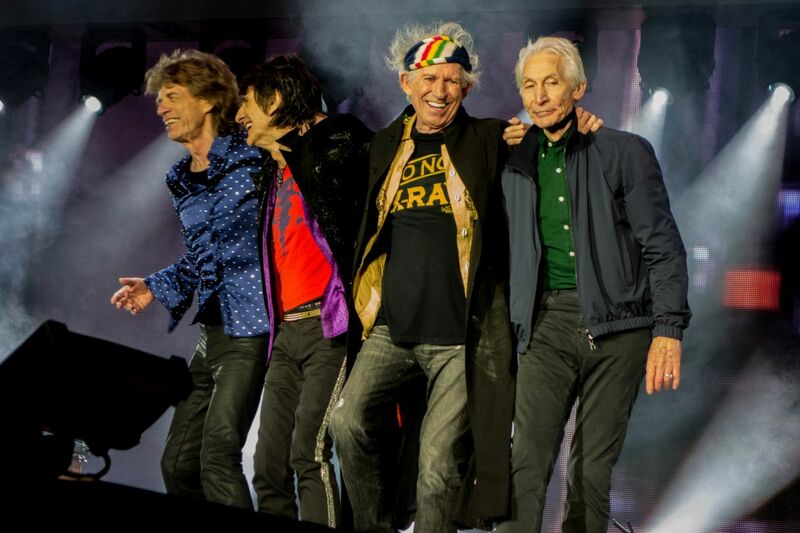 The songs taken alone are monumental and part of the world’s musical cultural heritage – the Stones transform them to unforgettable, living, energetic music that not only rocks and rolls, but overruns the audience in the most powerful way like a natural force. They took part in defining the core of rock'n roll, and still teach skeptics, fans, bands and guitar players around the world what rock'n roll is all about, like setting the standards for the next decades. Again I am so glad that I spent the time and efforts to come to Zurich. If you have any chance to see them, grab a ticket and get going! 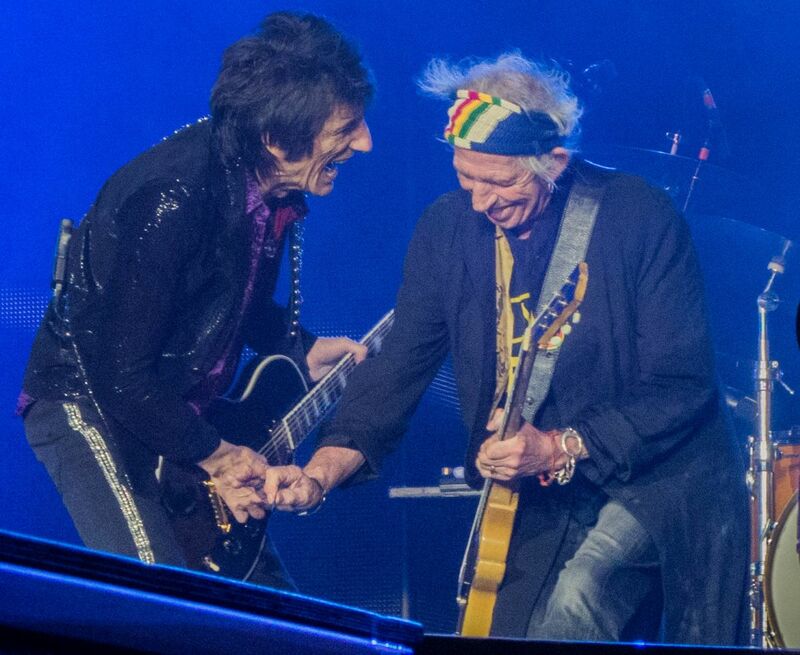 Life’s too short for missing the Stones. P.S. I liked the support band The Struts very much! Cool rock music, we'll hopefully hear from them in the years to come. Tonight was my 10th show overall and second show on this tour. My girlfriend and I flew from Miami to Austria last Friday. We went to the show in Spielberg on Saturday. As for tonight, we got to the show at about 6:30pm after speaking with some really nice people in the Crowne Plaza bar. Compared to Austria, getting into the show was extremely easy. Opening Band was The Struts, who were pleasant. We had general mission tickets and walked right up to the fence, as close as we could get to the pit. 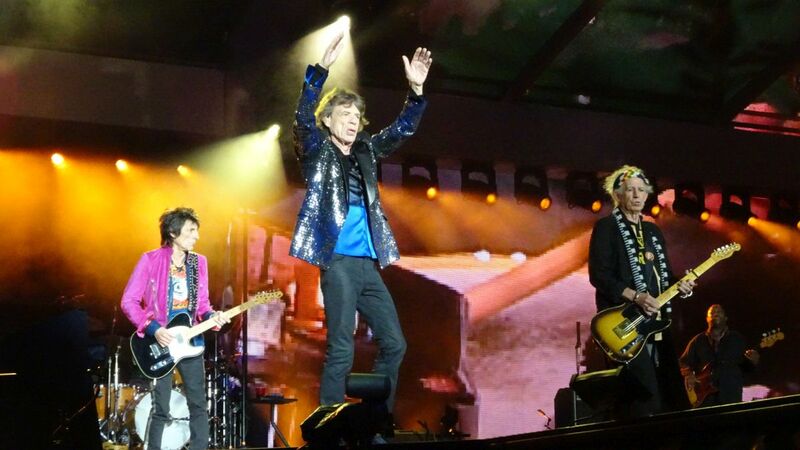 The stones came on at 8:30pm with sympathy, all I can say is they freaking rocked. This is the best show I have ever seen. They were on fire, plain and simple. 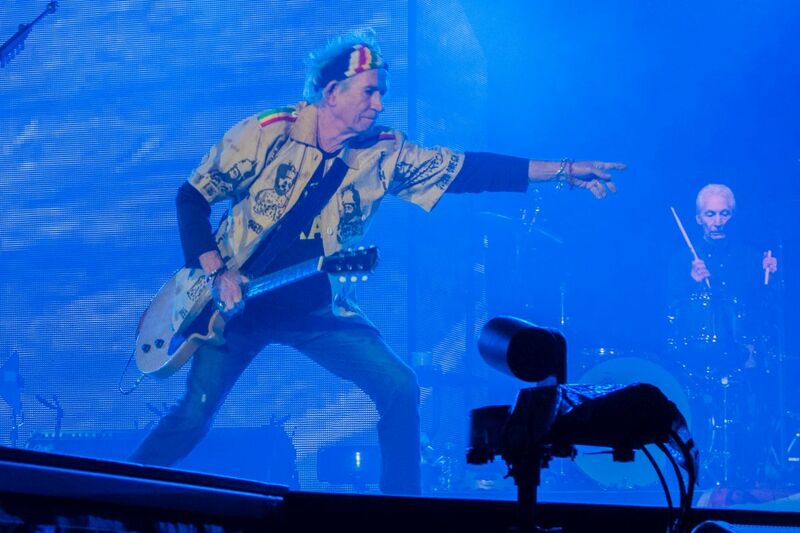 Everybody knows about Keith's mishaps in the Austrian show, and tonight he was superb. Song vote was like a Rolling Stone which they played amazing! , they played dancing with Mr. D, and they performed hate to see you go for the first time. 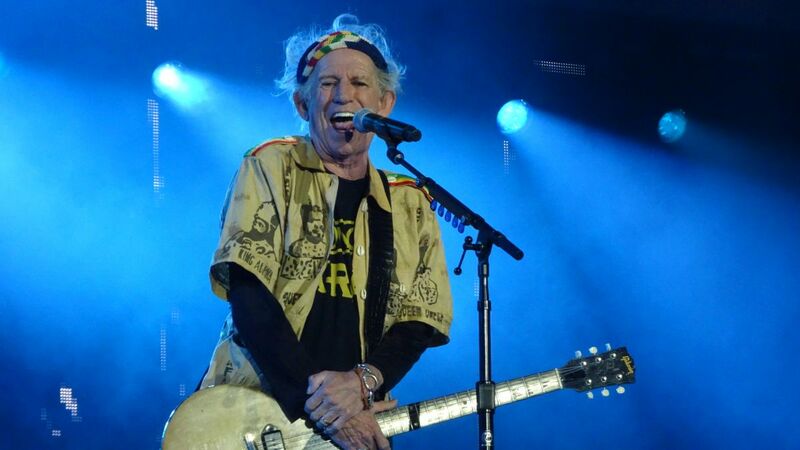 Keith played happy and slipping away, and his voice was phenomenal ! I could not believe how amazing the band was. 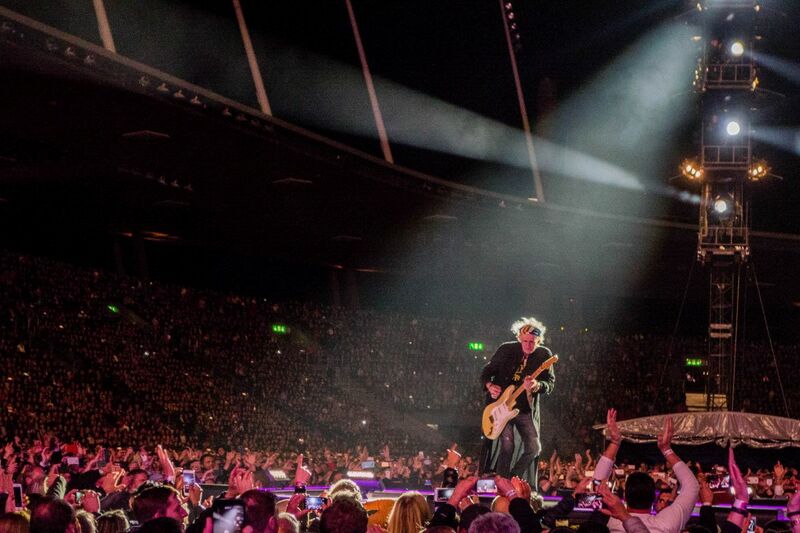 The crowd was amped up, Mick was running around, it was literally perfect. 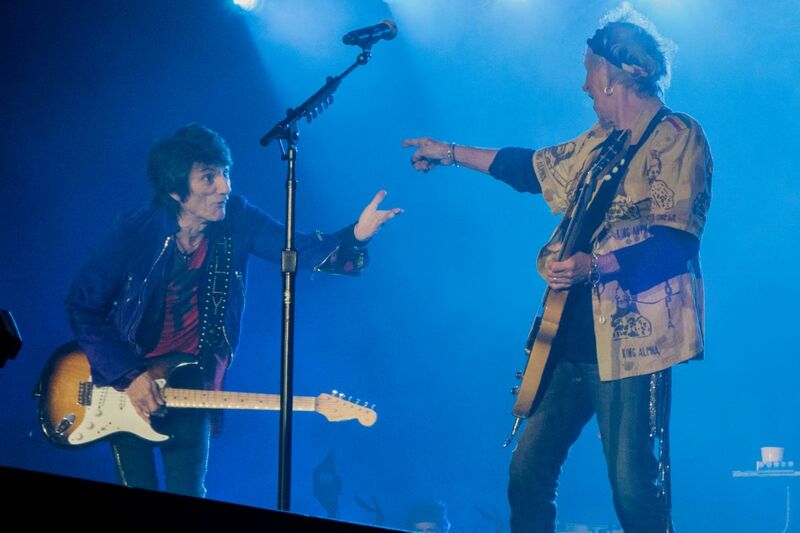 It goes to show, they still are the world's greatest rock 'n' roll band. I hope they never stop rolling! 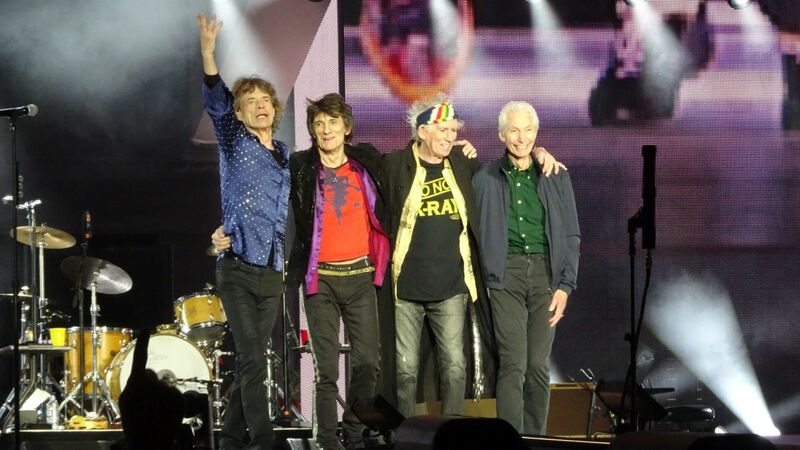 Long live the stones! It was easy to get into the stadium and there we were waiting for some other friends coming from Basel. When they arrived we went in into the Golden Circle, quite close to the B-stage, while The Struts were doing their set. Then the waiting started. After Hamburg I was curious how it would be. 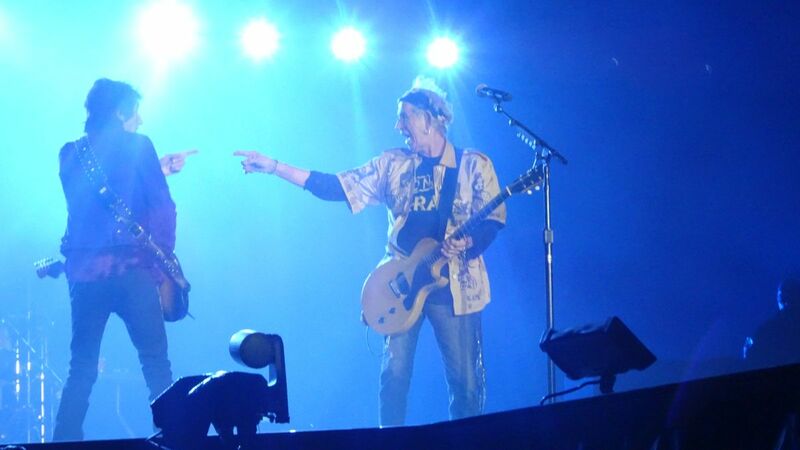 I loved the show in Hamburg, but read so many negative stories about Keith, especially here on IORR. This evening however would turn out to be a great show with the band really on fire. They opened at 8:20 with Sympathy For The Devil and it works great in my opinion. 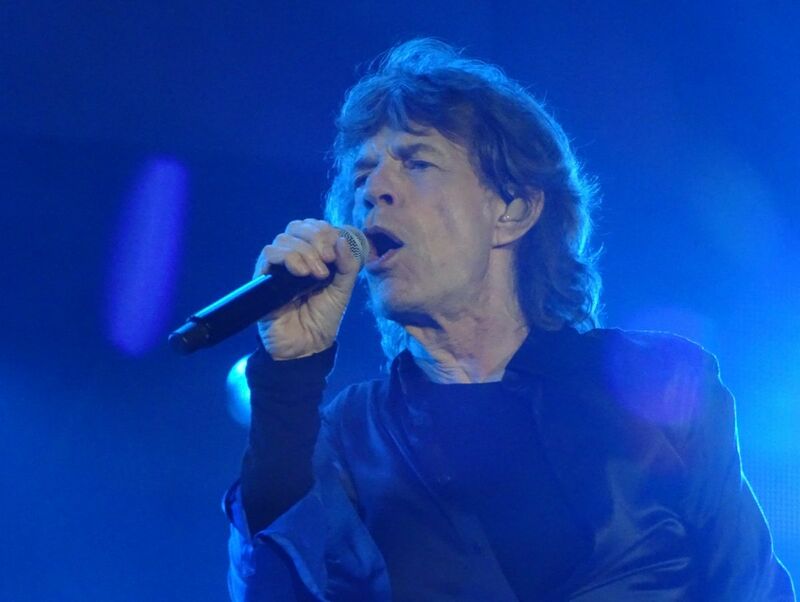 The set followed with It's Only Rock’n Roll and Tumbling Dice and Mick greeting the crowd in Swiss German, also mentioning that Tina Turner was around. Then the first surprise of the evening, the never performed Hate To See You Go from the late blues album. It is a great song, but I had the impression that the audience didn’t pick it up. Next one was Ride ‘Em On Down – the playing was fantastic from all of them. Luckily, Dancing With Mr D was back in the set, it sounds great. The song vote for tonight was Like A Rolling Stone. I was a bit disappointed, because they also rehearsed All Down The Line and actually I was hoping for Sweet Virginia, but man, what a great version of LARS they put out. Finally, the audience was also getting in the mood. The show followed with You Can't Always Get What You Want, a great slowly played Paint It Black and a long Honky Tonk Women. The band was introduced as usual, and when it was Keith’s turn, he was joking and walking around with an Austrian flag. He did a great Happy and even greater Slipping Away. 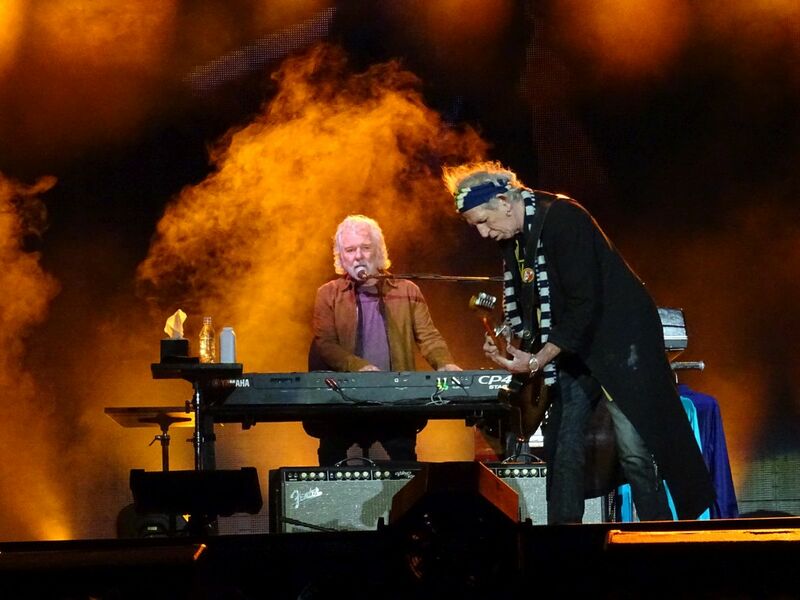 Then one of the next highlights of the evening, Midnight Rambler. Did they turn on the volume? It was suddenly much louder! I like the way Miss You is done and it is really a crowd pleaser. It was followed by a very loud and fantastic Street Fighting Man, this song would work very well as a closing song, but of course we still got some of the warhorses, such as Start Me Up, Brown Sugar and Satisfaction. The encore was Gimme Shelter, Jumping Jack Flash and fireworks. We clocked 10:30, two hours and 10 minutes. 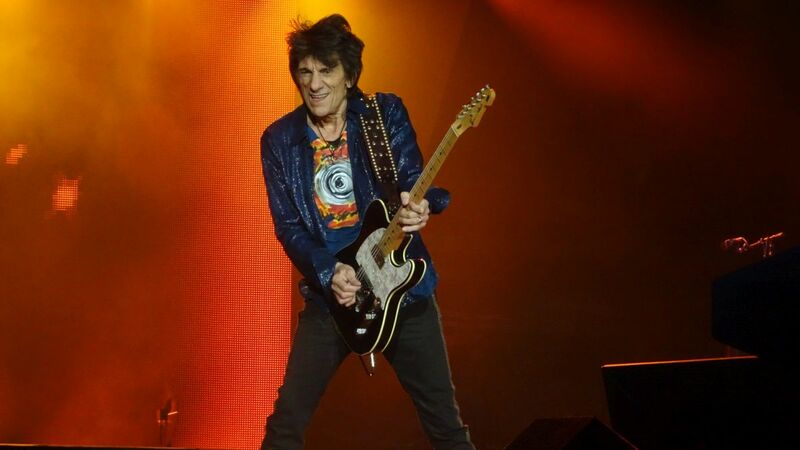 What a great show, what a band: I know, it’s only rock ‘n roll, but I like it… next stop Arnhem. A moving, almost perfect show, at last. 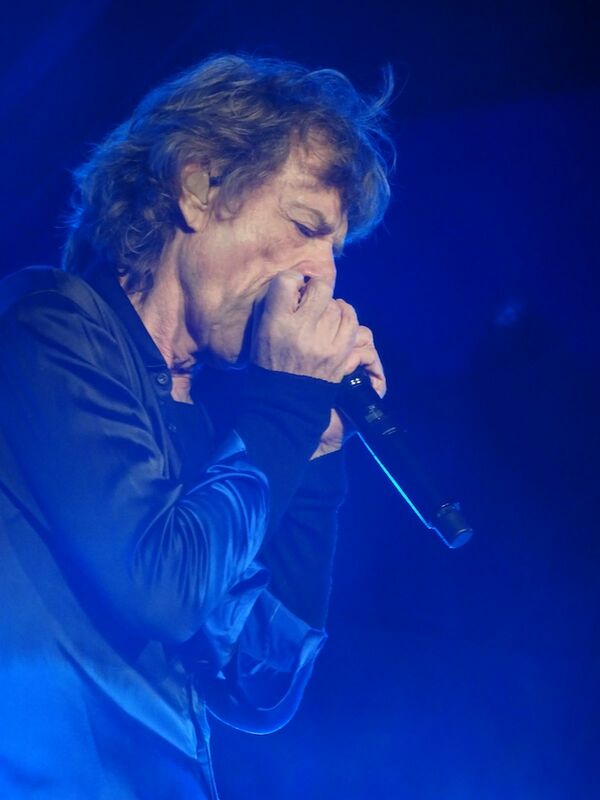 Mick Jagger played harmonica on four songs, Charlie Watts has been great and so was Keith Richards. 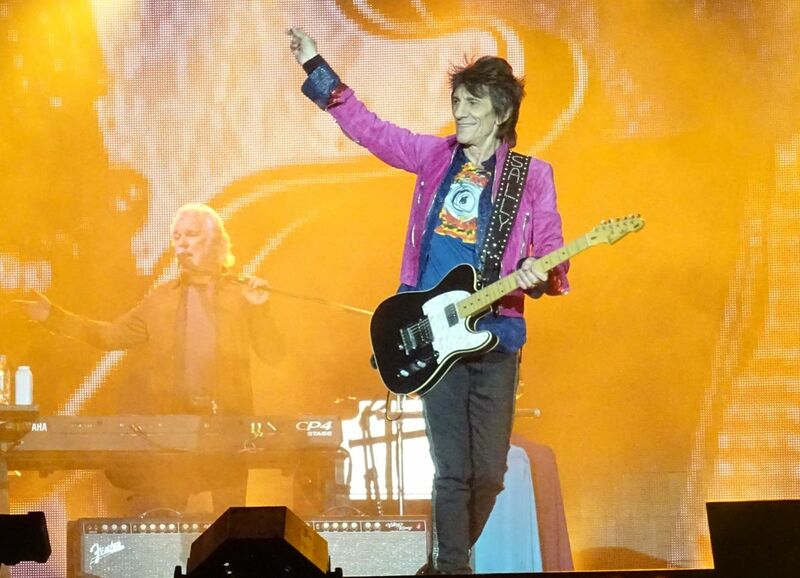 All of them looked very relaxed and very concentrated and music rolled all over the place fluent and magic thanks to Ron Wood playing that has been very smart. Personally speaking, my take-home souvenir has been ’Slipping Away’, but we’ve also liked ’Street Fighting Man’ and ‘Like A Rolling Stone’ a lot. I have to say that Carl Denson’s sax has introduced a sense of jam session in ‘Brown Sugar’ that I’ve liked very much. Unfortunately Allen has destroyed ‘Gimme Shelter’, but the audience did not care and ‘Jumping Jack Flash’ closed brilliant concert in glory.